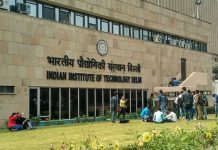 Bengaluru: The 4th Annual Women Leadership Summit will be held at IIM Bangalore on January 13 (Saturday), 2018. 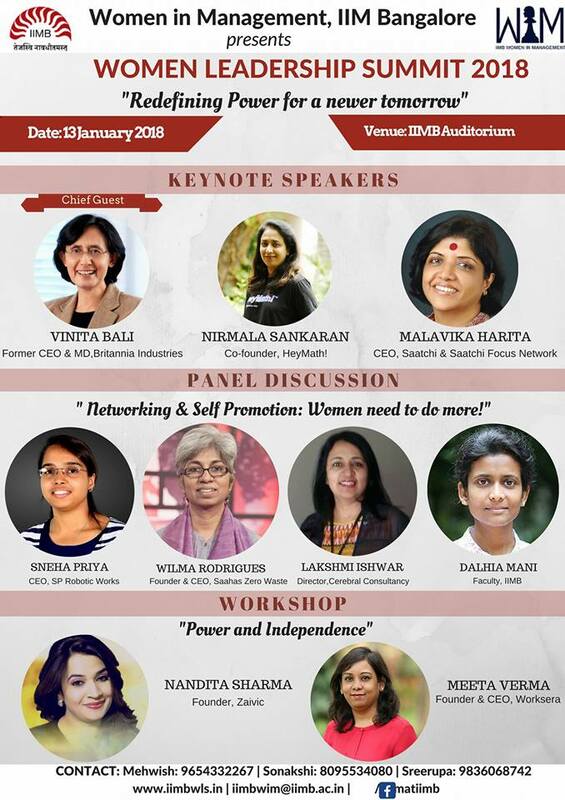 Organised by the student-run Women in Management Club (WIM) of IIM Bangalore, the theme for this year is ‘Redefining Power for a Newer Tomorrow’. Diversity issues prevalent to both men and women will be discussed during the summit. Sankaran, Co-founder of HeyMath!, and Malavika Harita, CEO of Saatchi and Saatchi Focus Network. The summit includes a panel discussion on ‘Networking and Self-Promotion: Women need to do more’. The panel has a diverse mix, with Sneha Priya, CEO & Co-founder of SP Robotic Works, Wilma Rodrigues, Founder & CEO of Saahas Zero Waste, and Lakshmi Ishwar, Director of Cerebral Consultancy. The discussion will be moderated by Prof. Dalhia Mani, faculty member at IIM Bangalore’s NS Raghavan Centre for Entrepreneurial Learning (NSRCEL). The panel will discuss the reasons why women are reluctant to put themselves forward. In contrast, that is something men are able to do far more easily. The panel discussion would cover this idea through the panellists’ professional journey. A workshop on ‘Power and Independence’ will also be conducted by Nandita Sharma, Founder of Zavic India, and Meeta Verma, Founder & CEO of WorkSera. “Power is generally defined by the job title and age rather than engagement and impact. In corporates, conventionally men leaders are perceived to be more powerful than women leaders. Why is it that the power of women leaders is always in question? Is it about time that we cast away the parameters that we use traditionally to define power? What are the mental models that we need to shatter to redefine power for a newer tomorrow? These are the questions that inspired the theme of this summit”, said Meghna Shah, President, Women in Management Club, IIM Bangalore.